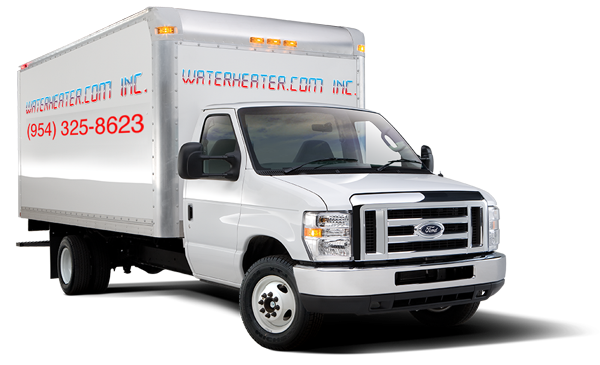 Water Heater Repair Davie - Water Heater, Inc. The hot water heater is one of the most important utilities in our homes. However, hot water heaters are also the most neglected utility of our homes as well. We tend to pay it no mind until we turn the faucet to find ourselves without hot water. If you find yourself without hot water, you need to call Water Heater.com Inc.
Based in Davie FL, Water Heater.com Inc. has served the residents of Davie with exceptional service. We service all types of water heaters: tankless , traditional or even solar. Our licensed company (license # CFC1429761) has qualified technicians who are experienced in all types of water heater repair and installation. We are available every day of the week all year long. For water heater repair in Davie, Fl you can not go wrong with Water Heater.com Inc. We have a Quick response time and excellent availability. We strive to keep our clients satisfied by performing our work with expertise and precision so your problem is resolved the first time every time. If your water heater can be fixed, Water Heater.com Inc. is the best choice. Water Heater.com Inc. is the expert authority for water heater installation in Davie. We have installed and replaced all types of water heaters including electric, gas, solar and hybrid units. We service and install all of the industry’s top makes and models. At Water Heater.com Inc. we put our customers first. We pride ourselves on our dedication to customer satisfaction. Residents in Davie are eligible for free and fast estimates. One of our skilled technicians will visit your home and take care of your water heater issues with expert care. After the estimate is made, we can get started right away. All Water Heater.com Inc. technicians are background-checked, licensed, and trained to safely replace and install water heaters. Rest assured, you will not find more helpful and qualified technicians anywhere else.